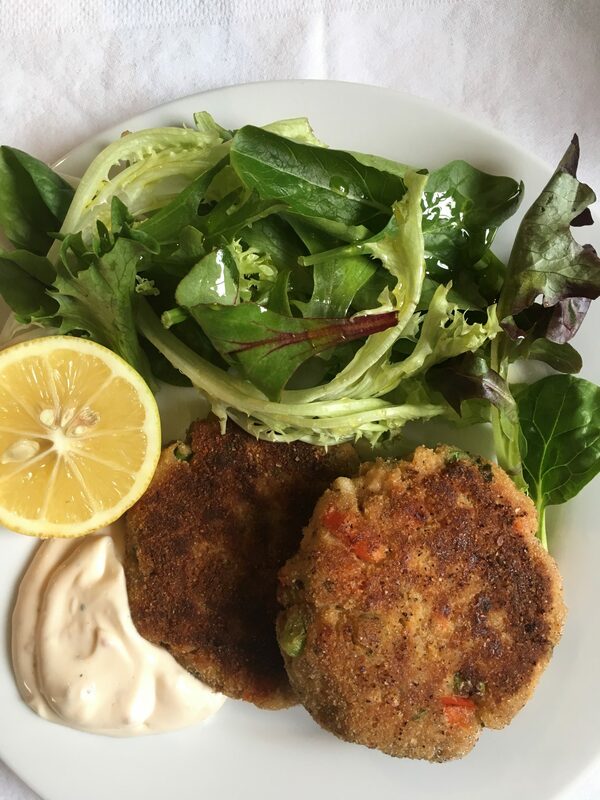 These luscious salmon cakes are so easy to make. It is a good alternative to traditional crab cakes. In my neck of the woods, crab can be very expensive because it comes from back east. Salmon is a good option as it is rich in omega fatty acids and a great source of protein. Here it is served with tender spring greens and lemon aioli. For the lemon aioli I substituted mayo for the raw egg yolks. It is perfect served at lunch or at anytime. If you are entertaining, serve it on a platter on a bed of tender spring greens. 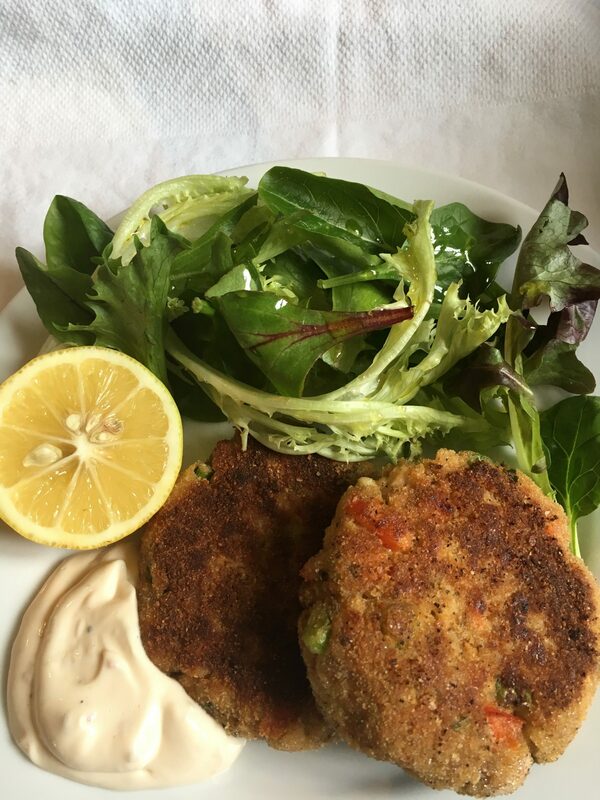 These luscious salmon cakes are served with tender spring greens and lemon aioli for the dip. It is perfect for lunch, brunch, or at anytime. Drain salmon and place it in a bowl. Pick out any bone bits and discard bones. 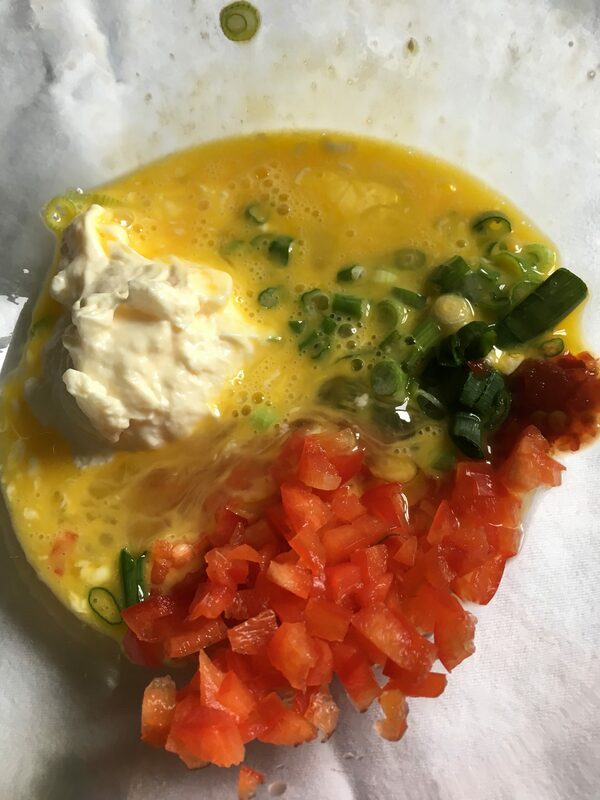 Add green onions, red bell pepper, eggs, mayo, salt, pepper and chili paste. Mix together with a fork. 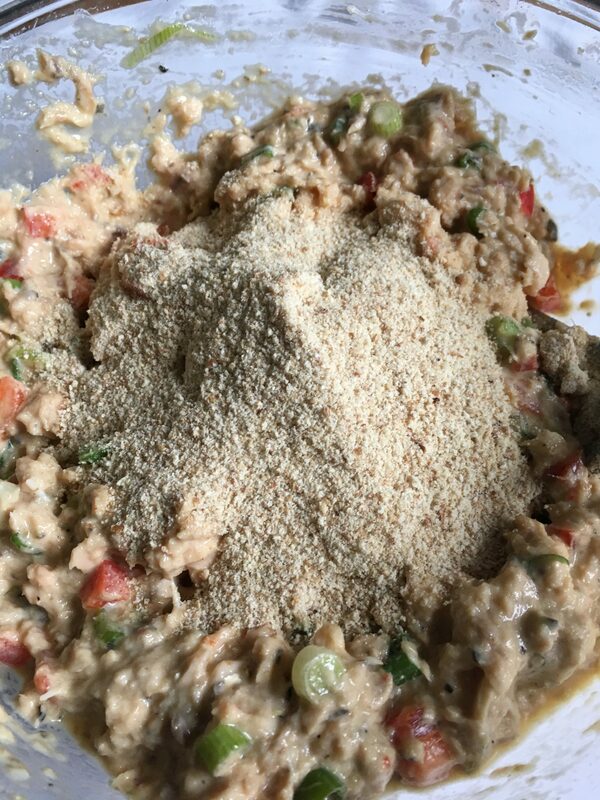 Mix in 1/2 cup of breadcrumbs to the salmon mixture. Line a baking sheet with parchment or wax paper. Place the other 1/2 cup breadcrumbs in a dish. Make about 8 balls of mixture and flatten them with your hands (about 1/8 inch thick). 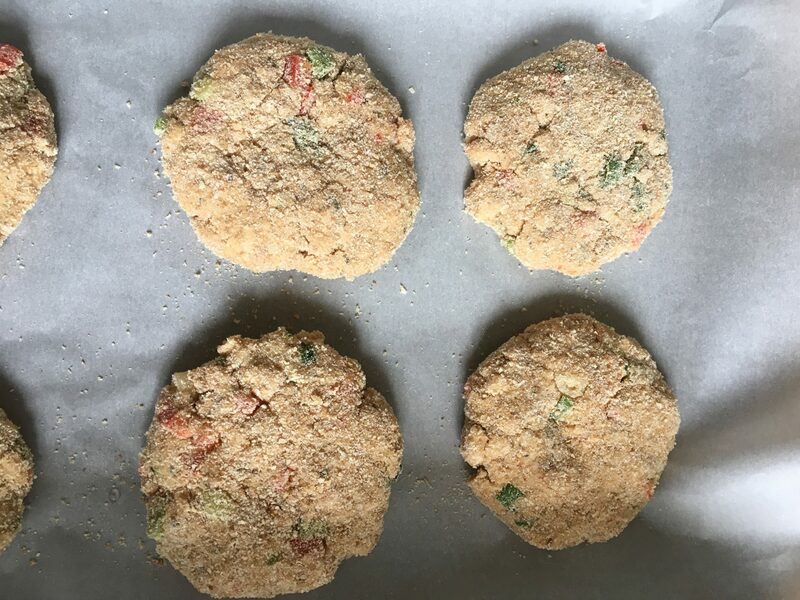 Coat each salmon patties with breadcrumbs and place them in the lined baking sheet. Heat oil in a nonstick frying pan on medium/high heat. (put oil just enough to cover the bottom of pan). Fry salmon cakes in batches, about 4 minutes on one side. Flip it then cook another 3-4 mins. For the lemon aioli: Mix 1/2 cup mayo, 1/2 tsp lemon juice, 1/4 tsp chili paste, 1/8 tsp. freshly ground pepper in a bowl. For the tender greens: Serve with salmon cakes and lemon slices. Drizzle greens with olive oil and lemon juice to taste.